*Updated with a section on the BC Referendum 2018, this article seeks to address what’s wrong with the current FPTP system and how PR might resolve some of these issues, namely, voter turnout and voter representation locally, regionally, and nationally. In 2008, 940,000 voters supporting the Green Party sent no one to Parliament, setting a new historical record for the most votes cast for any party that gained no parliamentary representation. By comparison, 813,000 Conservative voters in Alberta alone were able to elect 27 MPs. Finally, The NDP attracted 1.1 million more votes than the Bloc, but the voting system gave the Bloc 50 seats, the NDP 37. The discrepancy should set off alarm bells. In a business, policies would change immediately. Yet Canadian politics has resisted change for a very long time. What’s worse is that Canada is falling behind the rest of the democratic world in voter participation. It may be because we are hanging on to a troubled system where it’s common to feel like one is not truly represented in government. The beauty of our current First-Past-The-Post (FPTP) system is that it’s blissfully simple. You enter the voting booth, grab your pencil, and put an X on one local candidate. You drop it in the box and you walk out. In the public eye, simplicity is good. But the problem that accompanies this simplicity is that this system allows a candidate to win with a tiny fraction (say, 26%) of support in their riding, because all the winner needs is a couple more votes than the next candidate. Meanwhile, the majority of votes don’t necessarily elect anyone. The FPTP system of election, designed in the 17th century, is built to cater to clustered pockets of support in local ridings. But it largely ignores regional or national trends. It might feel good if everyone in your riding is voting for the candidate or party you want. But everyone else goes unrepresented. So FPTP is not a truly fair democratic system. It leave many people out. The Bloc: received 10% of national votes, but won 50 seats. The NDP claimed 18% of national votes, but gained only 37 seats. Parties lose through the hit-or-miss aspect of our electoral system. Sometimes you win, sometimes you lose. Voters lose as huge numbers of ballots are cast meaninglessly. In many ridings, the majority of ballots elect no-one. Government is failed by an unfair allocation of representative seats. A party might be elected with 40% of the votes but hold 100% of the power. Ultimately, Canada loses as a country that is already struggling with citizen participation because many people feel their vote won’t count simply because of the riding they are casting their vote in. Are there ways to politically represent more people more accurately? Yes. Several alternate systems are alive and well in democracies around the world. Plenty of nations around the world have sought a system that allocates votes in proper proportions. The idea is called Proportional Representation and it comes in various forms. The idea is for Proportional Representation (video) to allow voters to enjoy the best possible representation by making some adjustments to the way votes are processed. Ultimately, Proportional Representation aims to reflect regional or national demographics more accurately. Proportional Representation may also account better for political representation in aspects of gender, ethnicity, urban and rural populations. The United States and Canada can be and have been global leaders in modern democracy, yet, there are other, arguably more democratic, systems of government at work all over the world. The countries illustrated in this map use systems of Proportional Representation. MMP gives the voter one ballot with two votes. The voter casts one vote for a local candidate, and casts a second vote for any registered political party. Local candidates (one for each riding, as usual) are elected by the current “winner takes all” system. An amount of extra empty seats get filled in proportion to the second votes for the parties. These give the chance for popular parties to ‘top off’ their representation in the assembly according to the votes they get across the country. In practice, the MMP allows you to choose, for example, a Conservative candidate to represent your riding because you think they have good principles, but also cast a vote towards a Green party seat because you think they have some good policies. 1. The system captures the broader preferences of citizens. 2. An individual vote is more decisive and more meaningful. MMP erases the need for the “do I vote with my head or with my heart?” question. 3. Parties that have general (eg. national) support but few elected representatives will gain a reasonable measure of influence. 4. The system allows for a more accurate representation of viewpoints. 5. There is opportunity for parties to work towards more proportional representation. Ontario MPs, Senators, and over 150 university political science professors all agreed that the MMP system is more democratic and would better represent the diverse Ontario population than the current system. There was a lot of misinformation spread about MMP in the last referendum, and thus the vote was defeated. DMP allows districts to combine with another and be represented by two MLAs. The candidate with the most votes wins the first seat. The voter will still vote for a candidate or pair of candidates with one mark on the ballot. Fair Vote Canada conceived of this system to basically cater to Canada’s unique geography, using both multi-member districts as well as top-up seats to meet the varied needs of both rural and urban areas. Similar models are used in Sweden, Denmark and Iceland. It blends the aspects of STV and MMP, depending on which area you live in (rural or urban). *STV is not on the referendum in 2018 as a stand-alone system; it is incorporated partly in RUP. In 2005, the British Columbia Citizens’ Assembly proposed the BC-STV as an equitable voting system. It came within three percent of passing in 2005 and was offered again for referendum in 2009, failing once more, arguably because of misinformation. Single-Transferable Vote (STV) is designed to reduce wasted votes by giving greater weight to multiple preferences. On an STV ballot, each voter ranks the candidates on the list in order of preference. A candidate must make a certain quota of votes to win. 1. Any candidate who has reached or exceeded the required quota is declared elected. 2. If not enough candidates have been elected, the count continues. 3. If a candidate has more votes than the quota, then their surplus is transferred to other candidates according to the next preference on each voter’s ballot. 4. If no one meets the quota, the candidate with the fewest votes is eliminated and their votes are transferred. This process repeats from step 1 until the required numbers of candidates have been elected . By allowing the voter to state their preferences, this system eliminates the hit-or-miss aspect of FPTP. 1. Reflect the diversity of the Canadian people (In 2003, Aboriginal peoples occupied 1 per cent of House of Commons seats, no Cabinet positions, and 6 per cent of Senate seats. People of colour occupied approximately 5 per cent of House seats and 7 per cent of Cabinet positions). 2. Reflect gender equality (In 2003, Women sat in only 21 per cent of House seats and 35 per cent of Senate seats). This decade, Canada ranked 36th in women’s representation in legislative assemblies. Earles and Findlay demonstrate in their findings that Proportional Representation systems elect more women. The top five countries with most women in legislative assemblies all have Proportional Representation. The Hon. Senator Lucie Pépin agrees that there has been little change in Canada. Pressure for reforming democracy in Canada comes from a variety of sources inside and outside of government. Each party ought to have a concern for democratic renewal in their platform. Regrettably, some leading parties are the least concerned. We wonder why more Canadians don’t participate in voting, but when we see how meaninglessly broken our system is, we find some reasons. We should be prompted to fix the root cause of our political despondency: whether your vote counts. With a more representative system, voters have more opportunities to re-engage the governance of the country and to have their voice heard. Is it so easy to forget that that is the reason the democratic system exists at all? If only I knew sooner that simply typing “Canada” into Bandcamp’s search bar would bring incredible music like this to my ears, I wouldn’t have waited so excruciatingly long. Riverhood is one of the most creative albums I have ever heard, and I do not say this lightly. It’s the work of Montreal’s highly talented Luke Loseth (aka Felix Green), Charlotte Loseth (aka Sea Oleena) and others listed on their Bandcamp page. The production is incredible. At any given moment, the sound is a flawlessly layered cake; an auditory delight: vocals reverberating, bass marching, synths spiralling up and down, and an incredible array of ambient sounds – claps, old European radio broadcasts, pianos, glass bottles, and the like. Genre? “No” is the band’s apt reply. “Sonic exploration”. Pick this album up. You’ll love what you discover. She’s a singer, a pianist, an actress, and an educator. After shelving her master’s degree in Piano performance for a decade, Gina Williams “dared” herself to perform again at the Bell Performing Arts Centre in Surrey, BC, Canada on October 20, 2012. The Dare is a 65-person multi-genre performance. Tickets are available at the door. For all other details, watch! Gina Williams – The Dare October 20th from Craig Ketchum on Vimeo. I don’t know you, and you don’t know me. But as a person who has travelled ahead of you on the journey you have begun, I wanted to write to wish you a happy O-day and welcome you to the campus I once affectionately called home. I hope you’ll find it life-giving. If you like, give me just a moment of your time for a couple pointers. First things first. Fruit. It’s highly overpriced at the cafeteria. Get it from Willowbrook Farm Market in Walnut Grove. Soup is cheap and sometimes worth the savings so you can stock up on ice cream at opportune times like November when it rains the whole time. But it’s actually way better to just keep exercising. The gym isn’t far compared to other university campuses, even in the rain. If you sleep well on those sad excuses for mattresses, I admire you. Extra foam mats? I’m gonna sound like a parent here. That’s because parents have lots of hindsight. In this situation, so do I. If you do your pre-readings for class you won’t look or feel lost; confidence is half the battle: how will you ever feel good about learning if you haven’t applied yourself to your end of the bargain? Finish some papers early and the benefits are amazing. You’re less stressed and you have more time for refining it into work you can be proud of. My roommate created a clever schedule of his papers and dispersed them throughout the semester, successfully avoiding any all-nighters. Every percent actually counts. I didn’t graduate with distinction, but knowing I could have was a bit of a sore spot on graduation day; a mistake I won’t make again if I take further education. Lastly, don’t give into the tendency to take your environment for granted. Look around – life is beautiful. Don’t allow yourself to complain: you have the most freedom you’ve had in your life up until this point, hopefully you’re studying something you’re interested in, and you’re part of the world’s 2% most privileged demographic. Keep perspective! Have a blast. I look forward to hearing some stories one day. The beauty of TWU is its liberal arts approach. You get to take a smattering of great electives! 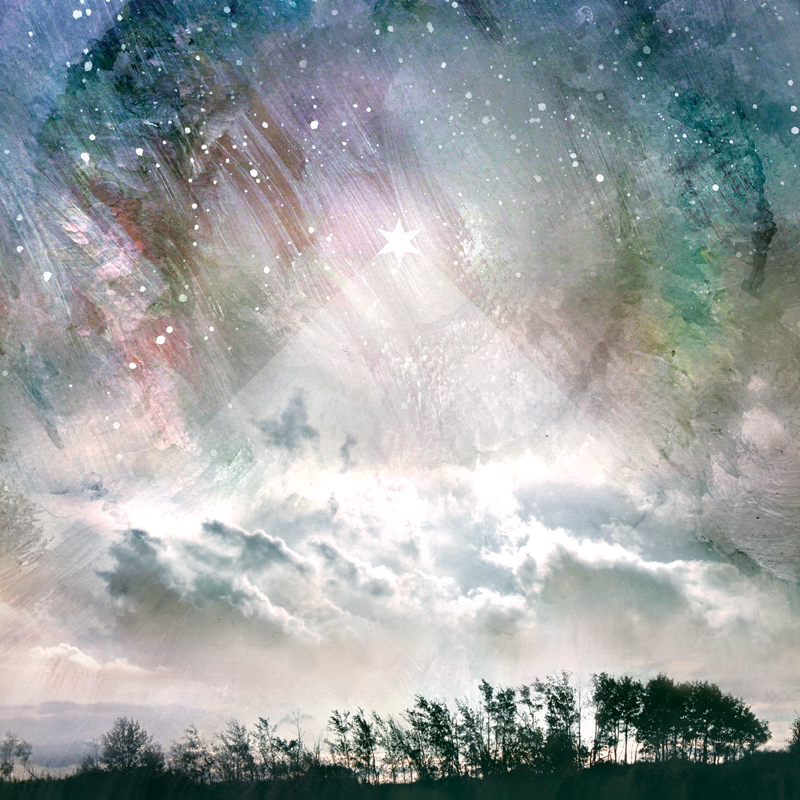 RELS 102 – New Testament (“RELS 102 with Kent Clarke changed everything for me.” – Jonathan Gibson) Prepare to have your faith cross-examined by a professor who won’t let you take your beliefs lightly. ENG ___ (Holly Nelson / Lynn Szabo). The entire English faculty are world-class. Plus, they teach you how to write well, which pays off in every other course you will ever take, and for the rest of your life. HIST 403 – Engendered History (Robynne Healey). All the history professors at TWU are outstanding. You will have your eyes opened to the world like never before. BUSI 280, 342, 377 (recommended by Business Administration student Jeremy Cockrill) I (Craig) didn’t take business, but I really wish I had. Anchor Guitar Studio: Home of an inventory of Sparrow Guitars and the new Anchor Guitar line. All guitars are assembled and set up in Vancouver, BC, Canada. Anchor Guitar Studio manufactures guitars, carries guitar parts and has a full in-house repair shop. The studio also supports the local Vancouver arts community. 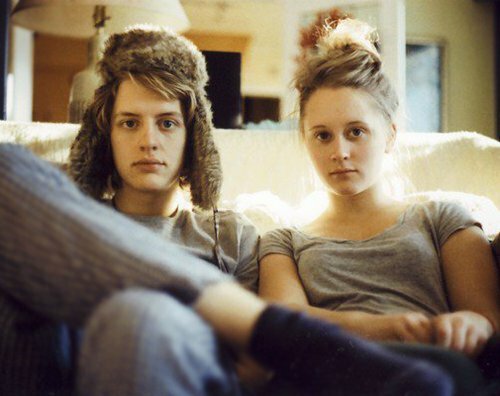 They are involved in music, photography, design, and film projects. Located in the heart of Railtown Vancouver, the Anchor Guitar Studio was born out of a love for music, guitars, and community. We are a shop who values quality in all areas. The Studio is a place where you can check out some guitars, get your guitar repaired, play some music, or collaborate on a creative project. Created in 2010, the Anchor Guitar Studio focuses on the highest quality products. Every guitar is handcrafted in Canada, and built with a high commitment to quality. Our guitars boast unbeatable tone, superior cosmetic appeal and playability second to none. You will cherish your Anchor Guitar for years. We have an inventory of Sparrow guitars that are finished, assembled and set-up in our workshop. We have also been manufacturing a line of jr’s and teles that are built from the ground up. Each one is constructed here in Vancouver. 103-339 Railway Street, Vancouver, B.C. 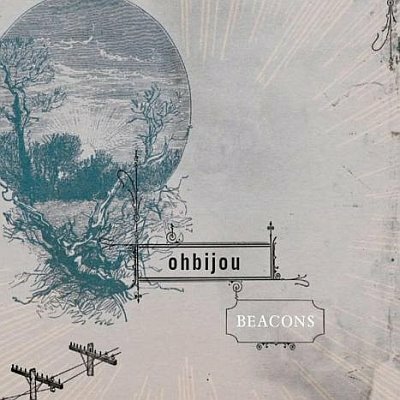 Right in time for Summer 2009, Ohbijou released a stunningly arranged album entitled “Beacons”. Ohbijou are a band from Toronto, Canada, led by singer Casey Mecija, who founded the music project years ago before adding to the band’s lineup musician by musician. Their sound showcases the builds, orchestration, and undulating dynamism of art rock greats like Arcade Fire‘s album Funeral. Mecija possesses a silky voice comparable to that of Leigh Nash of Sixpence None the Richer, one that is powerfully intriguing even in its most delicate near-whispers on songs like “Make It Gold”. Beacons is upbeat throughout, while exhibiting a generous amount of hushed strings, keyboards, and percussion too. In 2008 Ohbijou released a split 12″ record with fellow Canadian indie band The Acorn, on which each band delightfully submitted an original composition as well as a cover of a song by the other band. In 2006, Ohbijou released their debut LP, “Swift Feet For Troubling times”.